‘Shifting Academic Health Centers From a Culture of Community Service to Community Engagement and Integration’ is authored by Consuelo H. Wilkins, MD, MSci, and Philip M. Alberti, PhD. There is an increasing need for academic health centers (AHCs) to engage communities across their clinical, research, and educational missions. Although AHCs have a long-standing history of community service, a more comprehensive approach to working with communities is required to respond to shifts toward a population health paradigm, funder requirements for community engagement in research, and demands that medical education focus more on social and environmental determinants of health. Community engagement has been employed at many AHCs, though often in limited ways or relying heavily on students and faculty interested in serving communities. This limited involvement has been due, in part, to lack of infrastructure to support engagement, resource constraints, and the lack of a clear value proposition for long-term investments in community partnerships. However, there are compelling reasons for AHCs to take an enterprise-wide approach to working with communities. 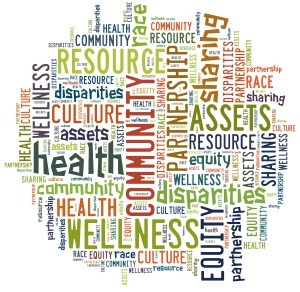 An enterprise-wide approach to community engagement will require reconsideration of communities, moving from viewing them as people or groups in need of service to seeing them as assets who can help AHCs better understand and address social determinants of health, enhance students’ and trainees’ ability to provide care, and increase the relevance and potential impact of research discoveries. To accomplish this, AHCs will need to establish the necessary infrastructure to support long-term community partnerships, adapt policies to support and reward engaged scholarship and teaching, and consider new ways of integrating community members in roles as advisors and collaborators across the AHC. Find the article on Ovid here or via Academic Medicine here.